Material:Alloy/Fraux Leather Case:38*38*9mm Band:20*4mm Length: 6.5-8\"
Not water resistant, please don\'t soke it into water,DO NOT wear it when taking shower or swimming. A great gift for Mother\'s Day gift, birthday gift.Suitable for party, daily wearring or other occasion. Elegant looking. 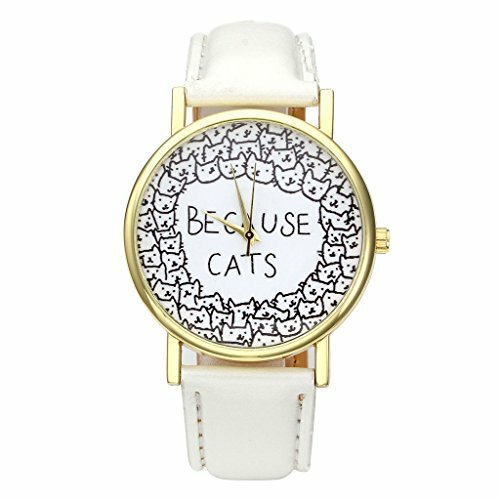 Cute Animal Watch. Brighten up your day.